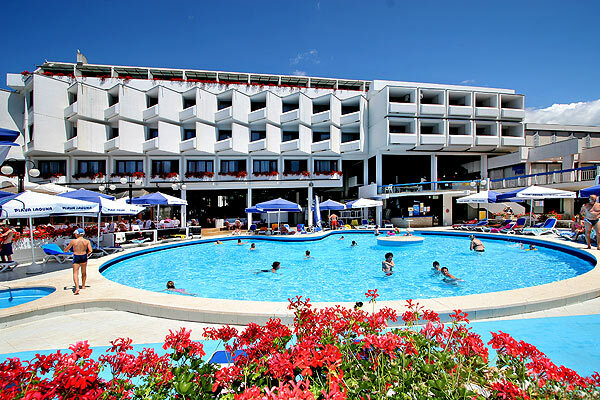 Hotel Parentium is located in the beautiful Zelena Laguna Bay, 5 km south of the historical old town of Porec. Situated just 50m from the beach, the hotel surroundings offer everything you need for a holiday full of sun, sea and outdoor leisure. The Zelena Laguna Bay is home to many hotels, such as Hotel Parentium and Hotel Laguna Istra, but the bay still offers plenty of quiet natural beaches, either rocky or pebbly, surrounded with pine trees providing natural shade. The sea in Zelena Laguna Bay is of excellent quality and as a result the bay proudly waves its Blue Flag; an international quality award for top beaches. There is also a beach especially for naturists. A variety of bars, restaurants, shops, pools and sports facilities are offered by the hotels and camps in the bay, so you will never be short of entertainment. Sport facilities include mini golf courses, basketball fields and soccer fields, tennis courts, diving schools, a horse riding school and much more. During the summer months there is a special tourist train that runs from Zelena Laguna to the old town of Porec, where you can stroll through cobbled streets surrounded by centuries old houses, palaces and historical monuments such as the Euphrasian Basilica, which is on the UNESCO World Heritage List, with its magnificent Byzantine mosaics. Beautiful artwork is on display in galleries and museums, and restaurants on the ancient squares are filled with people enjoying local food and wine while soaking up the atmosphere. 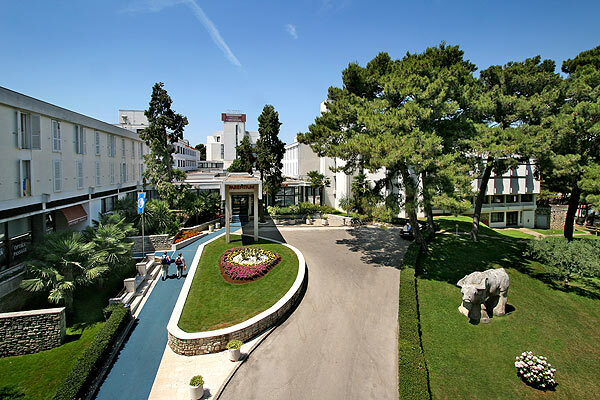 Hotel Parentium offers 368 non-air conditioned rooms with telephone, satellite TV, a bathroom with shower or bath and a hairdryer. Rooms are either sea side or park side. Not all rooms have a balcony. The room size and furnishings are modest but this is compensated by the hotel’s attractive location. 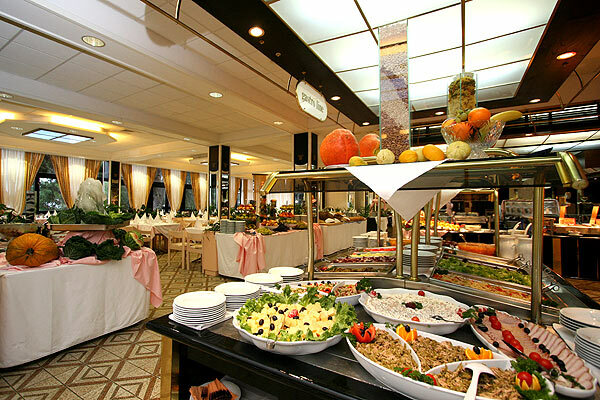 The air-conditioned restaurant offers a breakfast and dinner buffet. 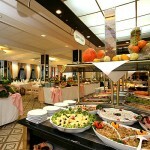 Guests who book half board are offered unlimited free drinks with dinner. Room service is also available. There is an indoor and outdoor salt water pool with sun beds and Hotel Parentium also offers sauna, fitness, massages and a hair salon. The hotel also has a tavern, pool bar, TV room, night club and a casino. For a fee guests can use the lobby’s WiFi, surveillance car parking, safes and bike rental. The hotel also has an exchange office, souvenir shop, news stand and laundry service. 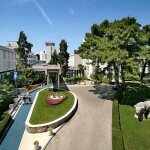 There is a mini club for children, mini disco and an animation team during the summer season and a children’s playground can be found close to the hotel. For the adults there are morning gym sessions, aqua aerobics and sports tournaments. In the evening you can enjoy a drink while watching a show or listening to live music. The hotel is not very suitable for disabled guests.